AML: Margie, what’s a favourite text that you’d like to share with readers of the AML website? Margie: The documentary, Manufacturing Consent. AML: Tell us a little bit about it. 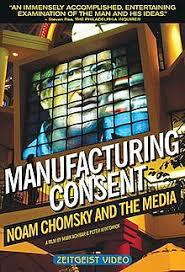 Margie: The documentary, Manufacturing Consent, is a further exploration of the eponymous text by Noam Chomsky and Edward S. Herman. It explores the ways media help shape individual and collective ideas about democracy and the ways that mainstream media, as profit driven entities, influence their audiences to be passive consumers. AML: This sounds like a must-see for anyone who is interested in examining media. What draws you to this particular documentary? Margie: I find the documentary clearly articulates the ways that media can help inform, distract, and shape our beliefs about the world. 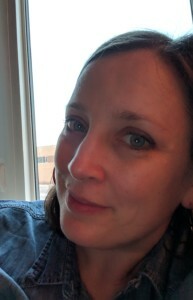 I also feel the ways it suggests viewing from a critical media lens is empowering; we have the tools at our disposal to investigate, compare, analyze, and evaluate the media that surround us. AML: This definitely aligns with the 8 key concepts that are the foundation of media literacy education, at least how the AML sees it. Were there any particular examples or moments that stood out for you as particularly noteworthy? Margie: There is a really incredible visual moment in the film where Chomsky is discussing the disparity between media coverage of the atrocities in Cambodia and East Timor during the 1970’s. Two strips of paper are unrolled (looking like a roll of receipt paper) against one another, representing column inches over a similar period of time in the NYT. The disparity between the coverage of the two is striking and Chomsky points out the political and ideological reasons behind the decision to cover one story with the depth and one with brevity. It was something that really has resonated with me (and I think as a sidebar, it’s one of the reasons that I feel social media has so much power, in that it allows so many underrepresented voices a space to share those stories). I should mention that, had I been allowed to include another favourite, my second text would have been the remake of Bedazzled. 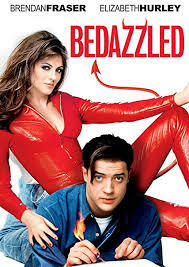 It’s a comedy starring Elizabeth Hurley as the Devil and Brendan Fraser as sad sack Elliott who’s in love with his co-worker. The original movie starred Dudley Moore; it’s based loosely on Faust. He’s sells his soul in exchange for the granting of 7 wishes…he uses his wishes to have a chance to be with her. There’s so many moments in the movie that play on different male stereotypes; each time he reinvents himself as the perfect man, he misses the mark. It’s hyperbole in the movie that could actually be a fun discussion in a class (could even see how some of those stereotypes may have evolved since it was initially released). But it also has some deeper moments and messages that I think are part of the reason the movie still resonates with me. I keep bugging Netflix over Twitter to stream it, lol. AML: Thank you Margie for taking the time to promote both of these interesting resources!